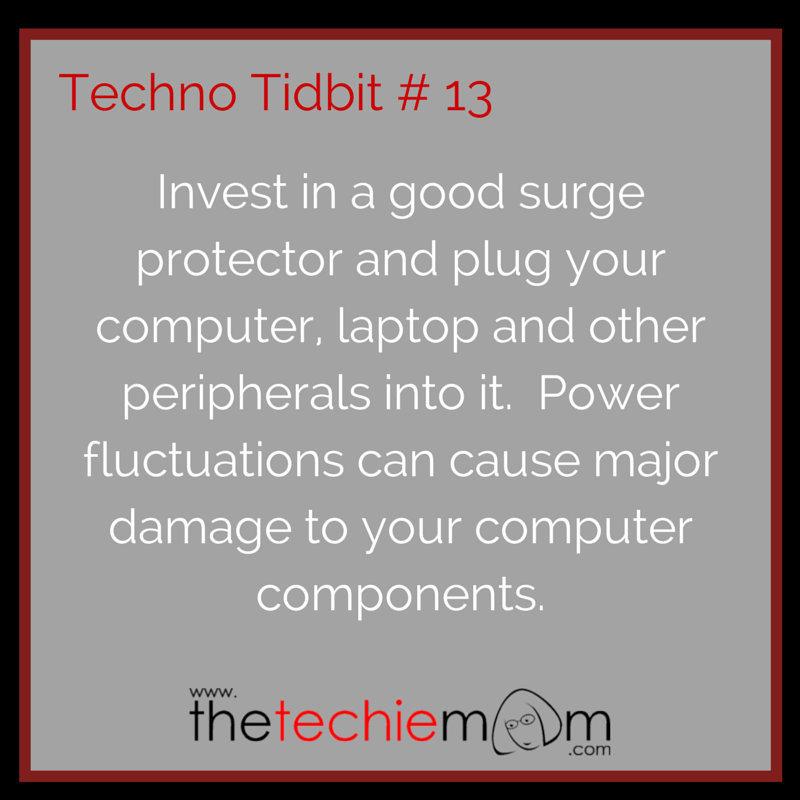 Techno Tidbit #13: Lightning storms, power fluctuations and frequent blackouts are sometimes the causes of computer malfunctions and damages. Invest in a good quality surge protector can help protect your computer from these situations. Better shell out a couple of bucks now than end up with a few hundred dollars worth of damaged equipment later.